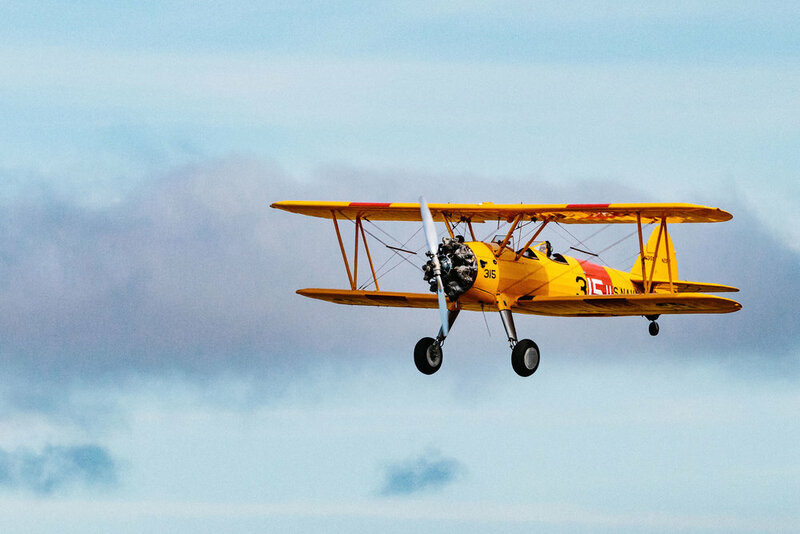 The Stearman (Boeing) Model 75 is a bi plane that was used as a military trainer. Upwards of 10,620 aircraft were manufactured in the United States between the 1930's and 1940's. It was the primary training aircraft for the US Army Airforce, the US Navy and even the Royal Canadian Air Force throughout World War II. 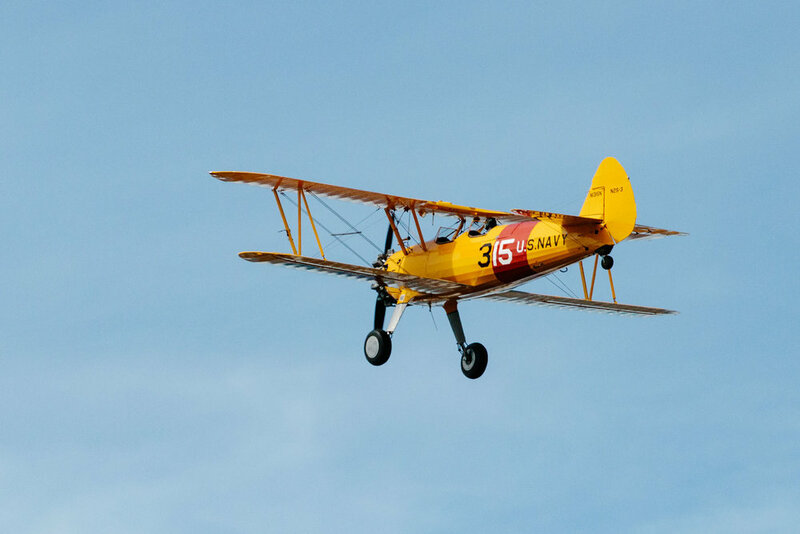 After the great war, these surplus aircraft were sold to the civilian market and became popular crop dusters and sports planes.